An economy priced Framed Chalkboard available in Wood or Aluminum trim. This duro-slate chalkboard comes with a full length chalk tray and a 10 year manufacturer guarantee. 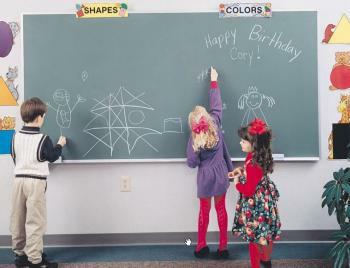 The duro-slate chalkboard surface is available in black or green. Choose from either an Anodized Aluminum or Oak Wood frame.